My executive assistant Vera, who can just do anything (and just do it perfectly), has informed me that the moronic inhabitants of your primitive planet may be in need of some inspiration. Well allow me to provide you with the encouragement you so desperately crave. In my case, the "something" is absolute, unquestioned and unchecked power. The "everything" is of course nothing. I have never or will ever sacrifice anything for anyone. That is simply preposterous! "Sacrificing" entails putting someone else's needs in front of my own. Why in the Hell would I ever do that? I mean I am clearly the smartest, strongest, bravest, handsomest, most hinged, richest and most powerful being alive. Whose needs could possibly mean as much as mine? In fact, I don't think even the Empire's needs should come before mine. Luckily, there is no need to make this distinction. Just by meeting my own needs, I am clearly making the Empire as great as it could ever be. In fact, I bet if I were somehow removed from my powerful position in the Empire, you would see numbers that you wouldn’t believe, in reverse. For example, the number 1183 would become 3811. Let that sink into your simple minds for a moment. Do you know what would happen if that were to occur? The spice market would crash. 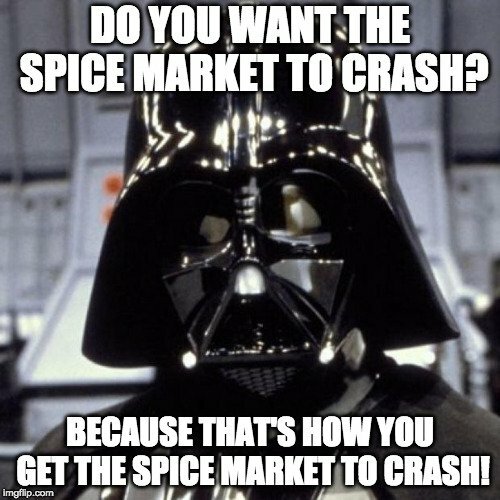 Do the citizens slaves of the Empire want the spice market to crash? Then they better hope I stay in power. I mean how do you remove someone from power who has done a great job? 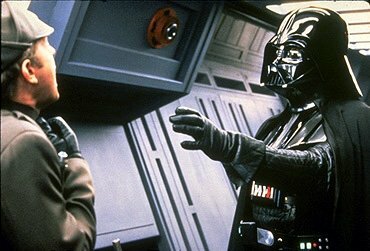 If I ever did lose my power, the Rebels would quickly and violently overturn all the great things the Empire has done. But back to my inspirational message. Even though there is simply no plausible reason for me to ever sacrifice anything for anybody, that shouldn't stop any of you from doing it. 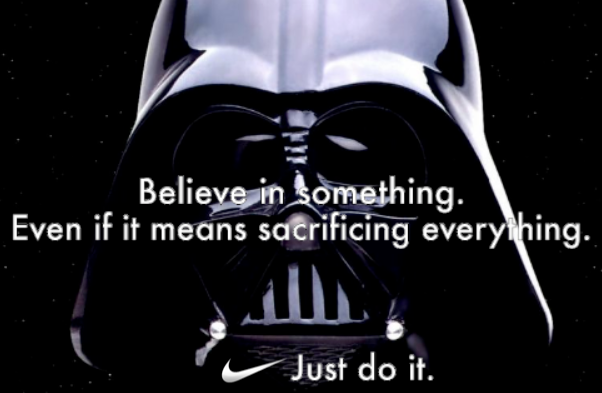 If you are looking for something to sacrifice, perhaps you should start with your desire to express your dissent concerning anything the Empire says or does. Guess which one of these bucket heads survived this despicable display of free expression? Trick question. The answer is none you moron! One of the reasons your planet is such a laughing stock among the more advanced civilizations that happen to have existed a long time ago in a galaxy far, far, away is that you continue to allow your inhabitants to challenge your decisions and interrupt what should be rubber stamp proceedings. I'm amazed that people allow the interruptions to continue. There are some people that just keep screaming. A long time ago in a galaxy far, far, away, we used to throw them out. Today, I guess they just keep screaming. It is embarrassing for a system to allow dissenters. To allow somebody to stand up and scream from the top of their lungs and nobody does anything about it is, frankly an embarrassment. When I arrive and take control of your primitive planet, the first thing I will do is silence this nonsense. The last thing any totalitarian leader needs is inhabitants who dare to practice their freedom of speech. How fortunate for me that it is difficult to speak when one cannot breathe. Tell me again how you disagree with something I said or did. Oh that's right. You can't. I guess we are in agreement then. Just do it. Or else. The spice must... wrong movie.